Remember the S3 bus saga - the one about it no longer stopping at the end of Green Lane outside Kingfish or the Old bank Chambers? Well questions have been asked and so far it seems like one of those absurd bureaucratic situations where nobody knows what is actually going on and it is the residents who are suffering. "With regards to buses stopping on double yellow lines, it depends on the local traffic regulation. Some double lines allow buses to stop, others do not." "The S3 bus has recently ceased to allow passengers to disembark in the hail and ride section of Green Lane, Worcester Park where there is a double yellow line even though this only means 'No Waiting' and vehicles are within their right to stop there to drop off and pick up passengers. 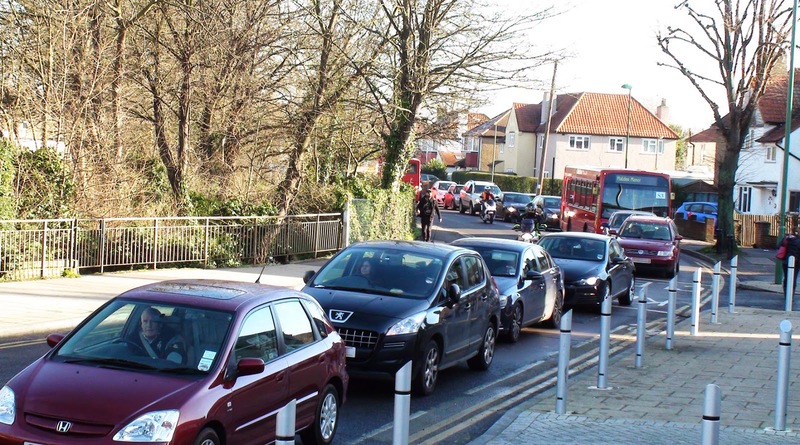 This is causing some passengers distress as it means they have to wait on the bus in heavy traffic close to the station through several cycles of traffic lights when they could otherwise get off and run for the train. People waiting for the bus on the other side have found the bus going straight past them with no indication of why it has not stopped to pick them up. What is the council doing to remedy this situation?" So it seemed the Council were planning to have a closed meeting with Epsom Coaches (the bus company) and TfL to try to resolve it but nobody seemed to know whether or not buses could actually stop there, or why nobody knew. "The police cannot issue tickets for yellow lines and haven't been able to for years." I managed to speak with Sergeant Buchan this morning and he confirmed to me what he has told Michelle. He also confirmed that buses are completely within their rights to stop to drop off and pick up passengers on yellow (single or double) lines and that if anything like this happens again, the bus company should report it to his department who will look through the cctv from the bus. They will treat each case individually but no police officer should have told a bus driver they must not stop there. He also said that obviously buses should only stop where it is safe to do so and that bus drivers should use their own judgement but they are entitled to stop on the yellow lines there. Sergeant Buchan has already had a meeting with the council and is waiting to hear back. He is also looking to talk to Epsom Coaches. "Unfortunately, I am unable to give you any information regarding this issue other than it is being discussed with everyone involved."